MANILA, Philippines — NLEX guard Kevin Alas is currently recovering at a local hospital after undergoing surgery for thetorn ACL (anterior cruciate ligament) in his right knee. This, according to his father, Phoenix head coach Louie Alas. 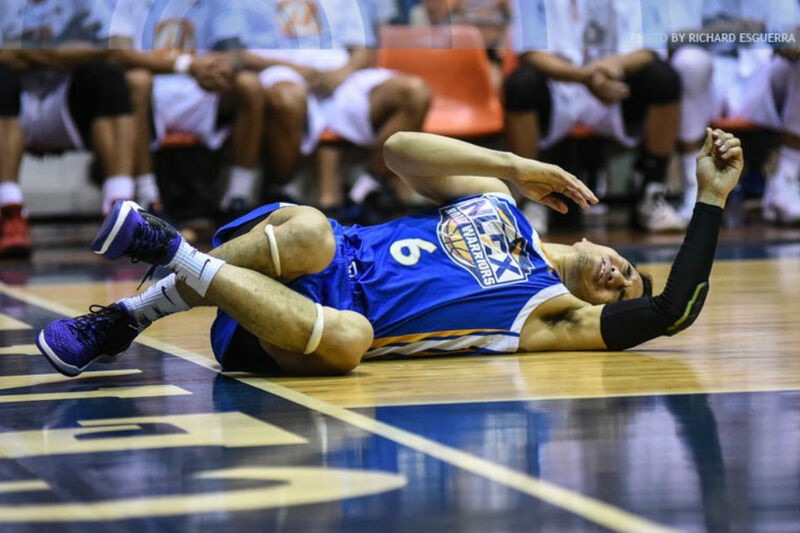 The NLEX guard suffered the injury during their game against the Meralco Bolts last February 2 at the Ynares Center in Antipolo — the same venue where he had sustained the same injury in March 2018. "Okay na siya. Baka tomorrow or sa Tuesday lalabas na," Louie Alas said after Phoenix absorbed a 98-94 overtime loss to Rain or Shine on Sunday. Kevin went under the knife at 6 p.m., and could have gone home afterward. After last year's experience, however, the Alas family knew better. "Sabi ko, after six hours, sobrang sakit nung wala na 'yung anesthesia. So inanticipate ko na, sabi ko mag-ano ka na lang, paadmit ka nalang nang one to two days para at least may mga pain reliever ditong ready," Coach Louie said. "Okay naman siya. He's in high spirits na, ayaw lang kumain," he added.